All homes currently listed for sale in the zip code 78202 as of 04/24/2019 are shown below. You can change the search criteria at any time by pressing the 'Change Search' button below. 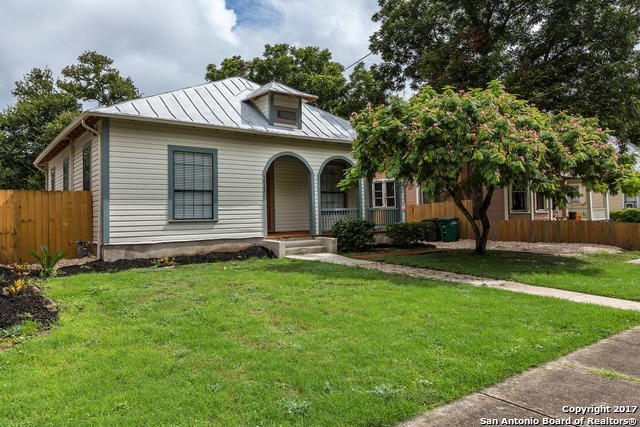 "Truly a breathtaking craftsman fully restored keeping in mind the original details & modernized amenities in charming Dignowity Hill. Welcome home to an inviting entry way w/ stunning wood floors, French doors, glass door knobs, high ceilings, coffered ceiling in kitchen & dining, custom cabinetry, granite counters, gas cooking, spacious bedrooms & baths, & so much more. Full list of updates available. A short bike ride from Downtown, St. Paul Square, dining, parks, shopping, & easy access to hi"
"Fabulous Historic District house! This home has been renovated but has kept the historical integrity intact! This house features original hardwood floors, architecture similar to it's time period accompanied by elegantly integrated modern touches. These bathrooms are designed to be remembered! Unique sun room with garage door type windows to raise on beautiful days! Take a look at the structure in the backyard, it's the perfect area for a hot tub or the ultimate mancave or she-shed"
"Here is your chance to own a 1898 victorian beauty in the heart of Dignity Hill. Blocks from the Alamo, Alamodome, and st pual square in downtown San Antonio. This property can be used as a commercial or residential property. Zoned c/1 IDZ. Recent A/C, Electric, and plumbing." "One of my favorite homes in Dignowity, bi 1910. Entire foundation updated with concrete piers. Electrical, plumbing (including to the street), HVAC, metal roof were completely replaced. House was hand scraped and primed before painting. Original long leaf pine floors. Old windows & transoms were restored & are operable. Custom cabinets w/ soft close. Custom screens. Wood blinds throughout. Gutters. Water softener. Alarm will stay. Front and back landscaped. Alley access with a privacy fence." 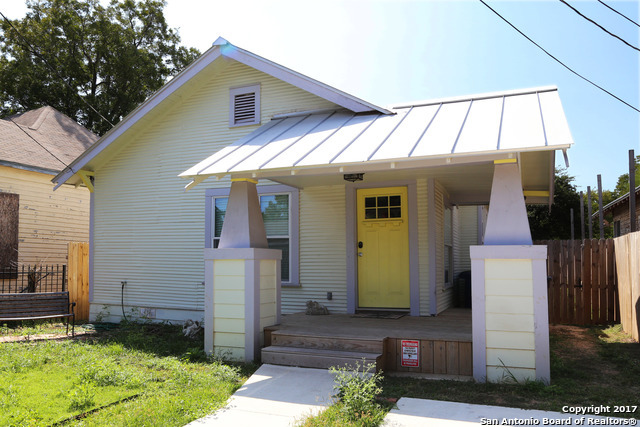 "Close to downtown near the Alamo Dome Dignowity Historical district growing East Side easy access major highways and downtown. (6) large bedrooms (3) full baths. Open floorplan kitchen center of the home. New appliances. Granite counter tops, Large living area, wood floors throughout,carpet in some bedrooms, recess lights, additional closet space in most bedrooms. Large master bedroom with 3 closets. Remolded home, new bathrooms, privacy fencing. 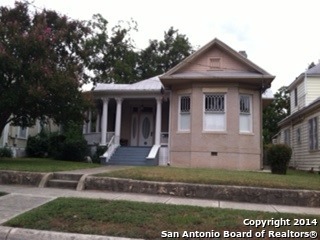 Additional space add 2 more bdrms OPEN HOUSE 1"
"Charming older home in the exciting Dignowity Historic District. High ceilings, gleaming wood floors, fireplace, built in cabinets and center hall exude the warmth and security of yesteryear. Relax on the front wraparound porch and wave to neighbors who are leading the renaissance of Dignowity! Easy access to Riverwalk, downtown attractions, the Pearl, and AT&T Center." 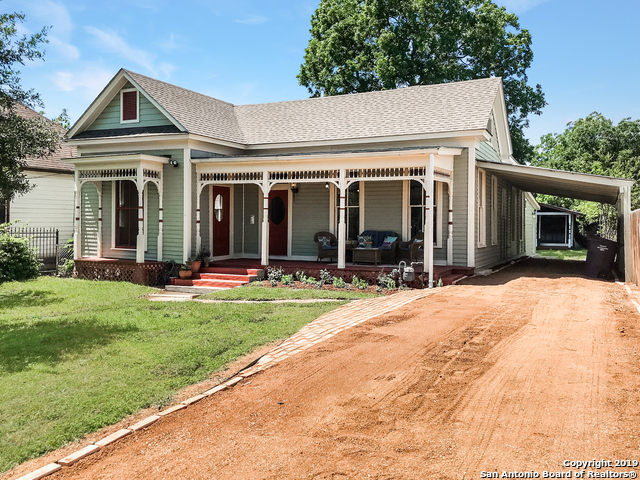 "This beautiful farmhouse style home has been completely renovated and updated with modern conveniences; located in Dignowity, you're very close to the downtown lifestyle. 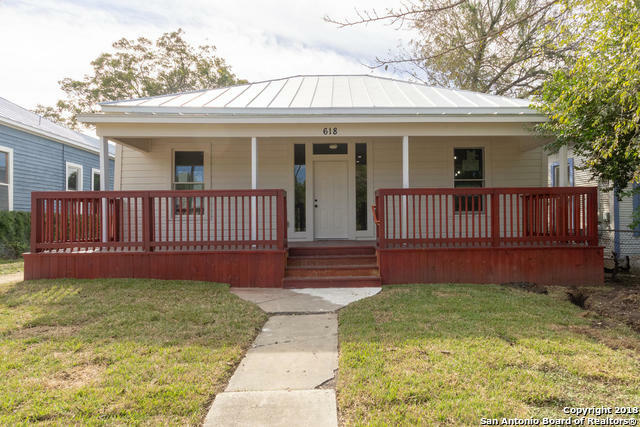 Tour this 3 bedroom, 2 bath home, with laminate floors throughout, 12 foot ceilings (some are the original shiplap), detailed woodwork, custom cabinets, security system, Nest thermostat, and much more. The custom deck and huge backyard are perfect for entertaining friends for a night in. 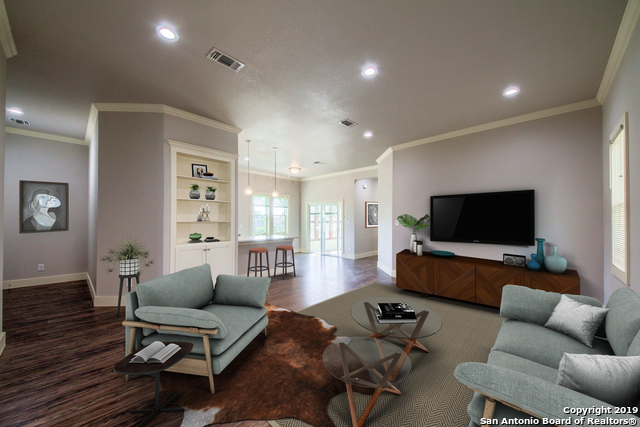 Many more beautiful details, come see it"
"Come view this 2018 Modern contemporary home built by Starling Homes bringing San Antonio a new look! Beautiful 12 foot ceilings on second floor, 10 ft ceiling on first floor. Other features to include Large storefront glass windows, floating staircases, front entrance door 10 x 5. 6 inch pivot, and 9 ft doors throughout house. Also LED lighting. Easy commute to Downtown shopping, Entertainment, the Riverwalk, and so much more! Lets make this opportunity a reality TODAY! 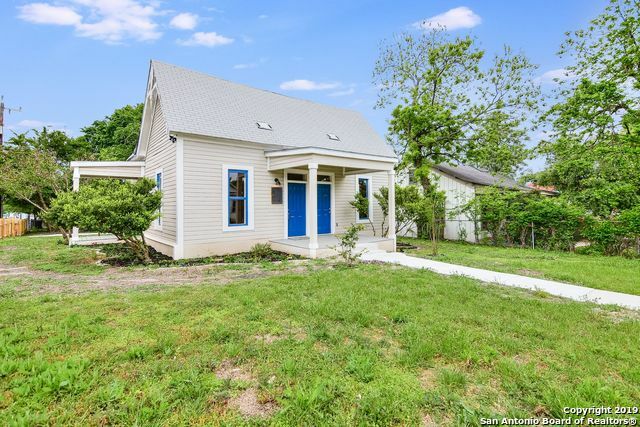 *To be completed by Mid"
"Historic Dignowity district, renovated and updated for today's lifestyles in concert with Office of Historic Preservation to insure details are period appropriate & spot on! Thoughtfully neutral tones, modern conveniences and soaring ceilings set the stage for this revamped beauty. Magnificent island kitchen with granite, stainless, subway tile & walk in utility/pantry. Walking distance from lovely parks, shopping, downtown & The Pearl." "GORGEOUS modern large corner lot home, totally remodeled, Cozy front porch w/ RING doorbell, inviting open floor plan w/ original hardwood floors, an amazing kitchen island, upgraded Quartz, exclusive BOSCH appl., spacious bedrooms, Lg walk-in closets, beautifully designed bathrooms w/ TANKLESS water heater, NEW; ROOF, ELECT, PLUMB, HVAC, WINDOWS, SIDING, walk in pantry, nicely landscaped with a 2 car-CARPORT, Oversized One car GARAGE w/ ample storage or space for workshop, Cedar Fence, addition"
"HISTORIC DIGNOWITY HILL NEIGHBORHOOD! 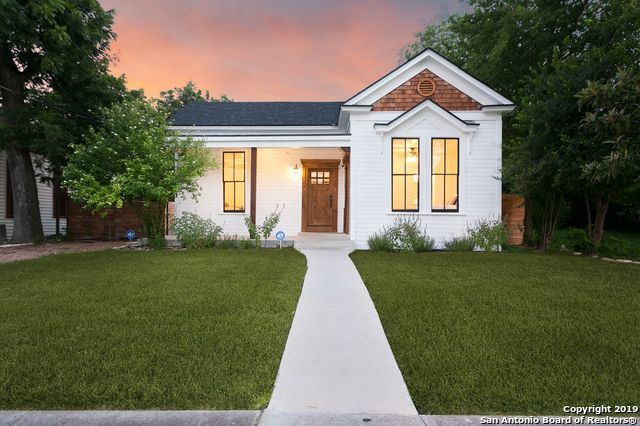 This 1910 craftsman style bungalow has been restored and updated to satisfy the urbanite at heart who is looking to live the downtown lifestyle. This 3/2 has hardwood floors throughout, gas cooking, and a large backyard! This house is super close to all the fun downtown has to offer. Close to major highways. Appointment require to show." "One of the few larger homes in the popular Dignowity Area. There are updated bathrooms and kitchen while they kept the original wood floors and windows. Master suite has its own private deck upstairs with a view of downtown and Tower of the Americas. This home comes complete with a washer, dryer, and refrigerator. House has a bedroom and full bath for guests down stairs and 2 Masters upstairs along with a fourth bedroom. Enjoy your mornings and evenings on the upper or lower deck. 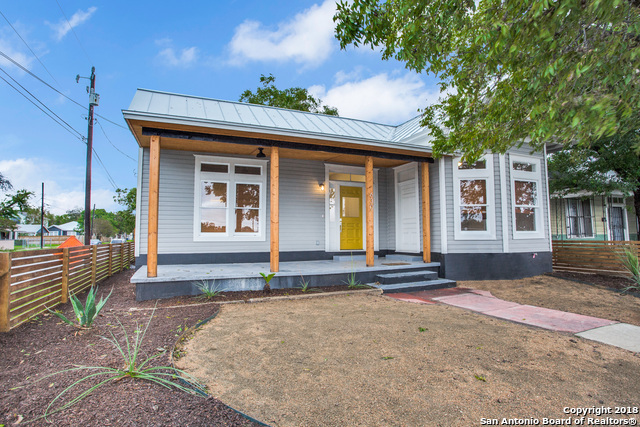 Welcome home"
"Stunning Renovation - Rustic~style Decor` in charming Historic Dignowity Hill. New roof, HVAC & tankless water heater. Open flow-thru floor plan, Custom design finish-out & recessed lighting thru-out. Upgraded kitchen comes complete w/new custom cabinets, Hammered-copper apron sink, top of the line Thor stainless steel appliances, gas stove, high-end quartz counters & walk-in pantry. Master suite: dual rustic copper vessel sinks, Cabrera white Quartset custom-designed vanity. Must see!" "Wow~ HISTORIC Dignowity Hills old world charmer! Open floors plan, TALL ceilings, amazing master bath with rain shower head. 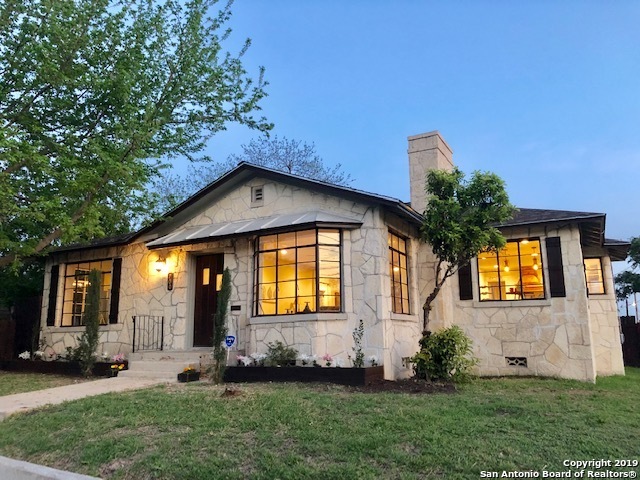 Metal roof, new kitchen, original shiplap, original hardwood floors, fireplace, contemporary finishes and clean lines to include a stainless steel sink, gooseneck faucet and edison lighting." 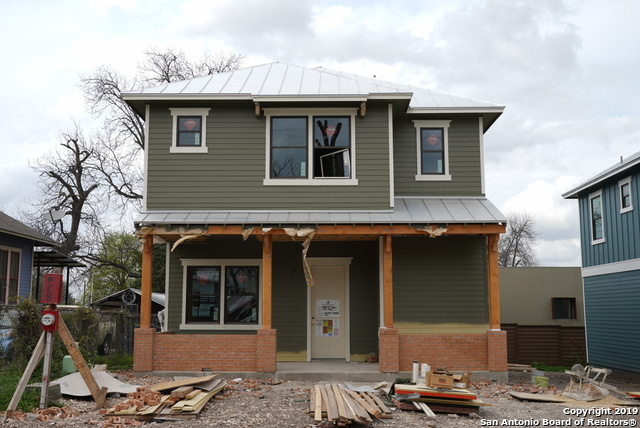 "NEW BUILD in HISTORIC DISTRICT! Within walking distance to park, brewery and shops. New construction by established builder. 3 bedroom, 2.5 with up-to-date selections and enclosed yard. Gas cooktop and open floor plan downstairs. Wood floors upstairs in all rooms and hallways. NEST thermostat. Metal roof. Tankless gas water heater & plumbed for water softener. Hays Street takes you to Hays Street bridge and to downtown! 6/30/2019 completion. Two car parking off street. Carport option available." "Unparalleled elements showcase the urban design with blending metal & wood details. Sleek modern plumbing & electrical fixtures, custom cabinetry, & ample storage. Master bedroom boosts a spacious room, walk-in closet, free standing tub, & massive walk-in shower. Newly constructed home situated in the charming neighborhood a short bike ride away from Downtown. Imagine the possibilities for entertaining in the patio & yard space. 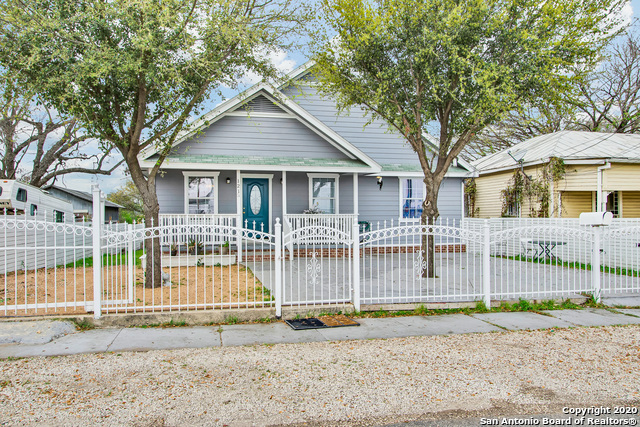 Short distance from parks, restaurants, shopping, & AT&T center." "**True Historic Section of Dignowity** Nearly 100 year old charmer TOTALLY REDONE! All replaced SOLID OAK FLOORS throughout... the cabinets, plumbing, electrical, granite counters, AC, appliances, fixtures, on and on, have all been replaced. Huge front deck was added to boast curb appeal & add to the historic look. Metal roof w/crimped edges just like they used to do a century ago. The backyard is big & quite level. High ceilings inside w/ super open layout. 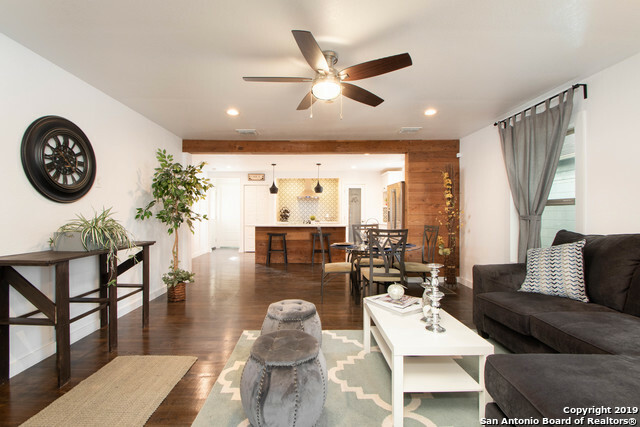 So close to downtown-this is a premiu"
"Minutes to The Pearl & Downtown SA. 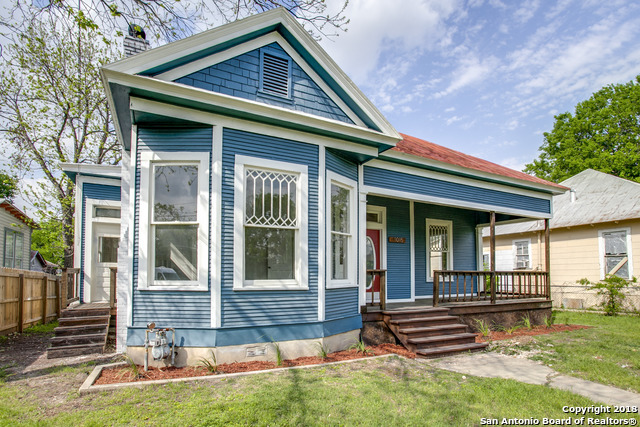 Cedar shake, new siding, rebuilt original windows & custom craftsman doors highlight the beauty & style of this Historical Dignowity Hill home. Other features: Decomposed granite driveway, gated parking & thoughtful landscaping & lrg covered front porch. Each BR has its own private bth & the custom kitchen is open to the dining & living space. Floorplan includes walk in pantry/utility. New Foundation, HVAC, Electric, Roof & more. Cosmetic touch ups in progre"
"Charming Bungalow on a quiet corner in Dignowity. 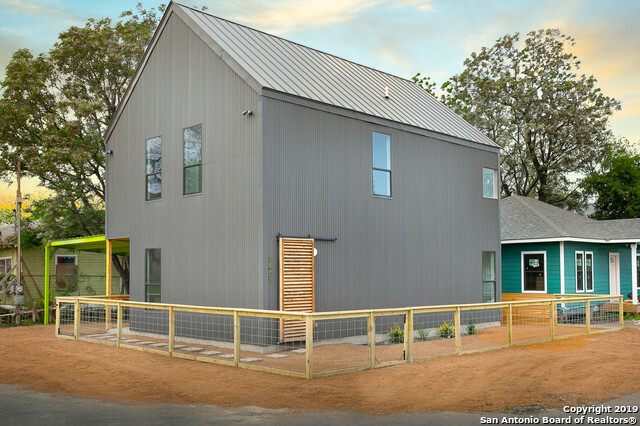 Brand New from the ground up on an oversized lot; reflective of historic qualities combined with energy efficient features and an intelligent use of space. Wonderful front porch! Rare Find: Over-sized lot on a quiet street downtown. Details include: Fully fenced, Large carport, airy Florida room, open concept kitchen with breakfast bar and farmhouse sink overlooking the garden. Split floor plan, large living room. Great sized master and secondary"
"***OPEN HOUSE JAN. 13 & 19 [12-4PM]*** BEAUTIFUL HISTORIC RENOVATION WITH HIGH VAULTED CIELINGS, ALL HARD WOOD FLOORS, LARGE BEDROOMS, OPEN CONCEPT, LARGE KITCHEN WITH GOOD SIZE PANTRY, CUSTOM BARN DOORS, LUXURY GLASS DOOR THAT OPENS UP TO A LARGE DECK PERFECT FOR ENTERTAINING FAMILY AND FRIENDS, PRIVACY FENCE, 2 CARPORT IN REAR OF HOME WITH DRIVEWAY, MODERN FIXTURES, CUSTOM 96 TALL DOORS, ZERO LANDSCAPING, NEAR THE PEARL, FORT SAM, DOWNTOWN. MUST SEE THIS BEAUTIFUL HOME!" 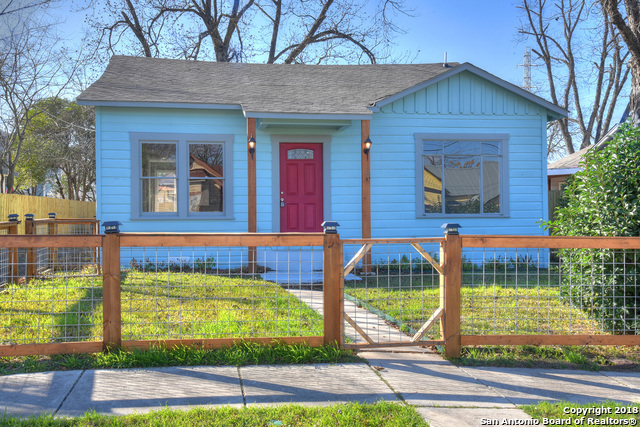 "Gorgeous Dignowity Hill craftsman situated across from Dignowity park and walking distance to downtown. 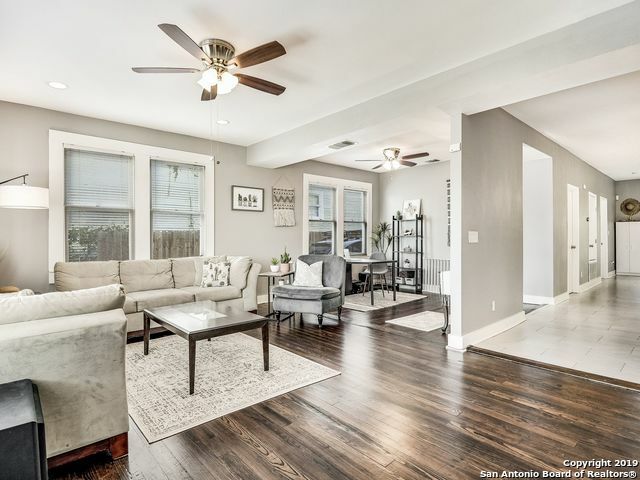 Completely renovated from top to bottom with custom kitchen cabinets, granite countertops, gas range, designer fixtures/lighting, ash oak wood flooring, and 12ft ceilings throughout. Master suite includes spacious walk-in shower, double vanity, and oversized walk-in closet! New HVAC, electrical, plumbing, roof, and driveway. Corner lot with new picket fence and landscaping." "Beautifully remodeled single-level home offers elegance and warmth, combining modern living with timeless grace. This 1300 sqft property offers 3 bedroom, 2 full baths. Features an inviting & open floor plan, and an abundance of natural light. Boasting beautiful faux wood floors. Island kitchen with stainless steel appliances. Granite counter tops. The spacious private yard completes the outdoor ambiance. Within minutes to downtown and Lockwood Park. Perfect for shopping, dinning and entertainme"
"HISTORIC DIGNOWITY HILL NEIGHBORHOOD! Built in 1923, this old beauty is a 3/2, with a finished basement, and a CASITA that backs up to Gorman Street. Video tour on Youtube. Seller financing available. Furnishings are negotiable. The backhouse could make a great income producing dwelling-needs total renovation. 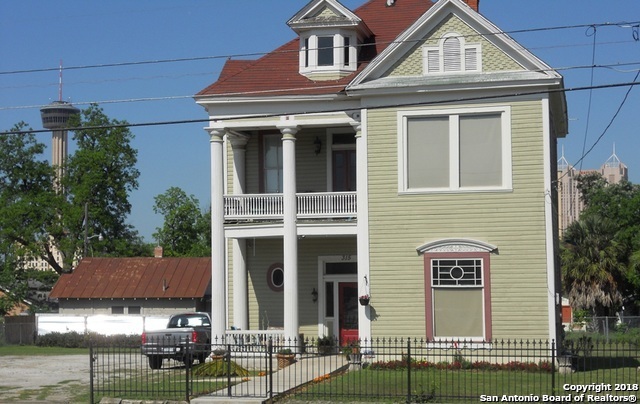 Close to major highways, downtown, Pearl, and Southtown. Appt. required to show-currently an Airbnb." 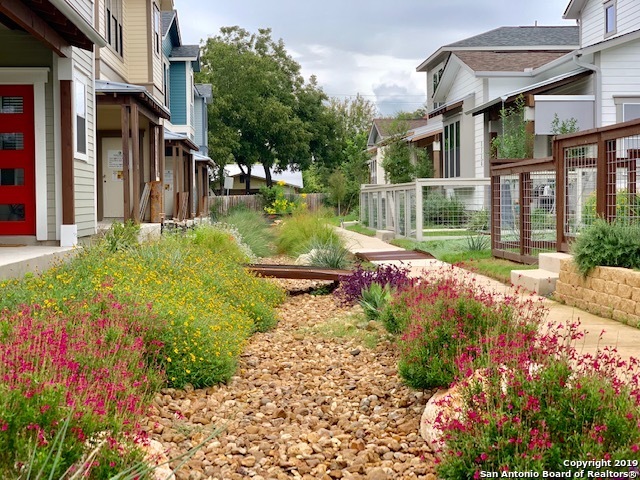 "Close to Pearl Brewery & downtown. NEW SF detached home in historic area. Corner lot and private location off street. 10-yr warranty. Well-designed floor plan and stylish finishes throughout with wood floors in living area & kitchen and modern tile selections. 2 car attached garage (rare feature in downtown). Master bedroom has spacious walk in closet. Both bedrooms have en suite bathrooms. NEST thermostat & energy efficient features. Dog park nestled in this great community. Low maint. yard w/"